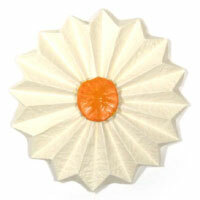 Here you will be able to make beautiful origami daisy flowers just by floding a paper. 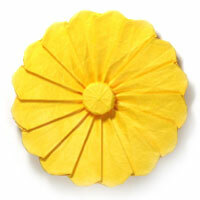 This paper daisy flower starts from a regular hexadecagon paper. 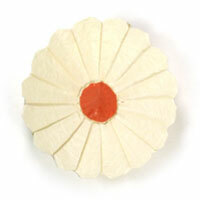 The distinctive feature of the origami daisy flower is it has sixteen petals. One special folding technique you will need to apply for this model is a circular valley and mountain-folds.